Time for a rare post in first person! 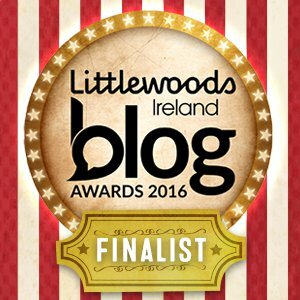 Thanks again to everyone who voted for Crackplot, and for everyone at the Littlewoods Ireland blog awards for putting me through to the final. I’m shocked and delighted that I made it this far but i’m glad the hard work is paying off! Here’s a list of all the other great blogs I’m lucky enough to be picked along with! We’ll finally know who wins on the 15th of September! You guys are awesome. Thank you so much for your support!